Grace E. Jackson, MD (Psychiatrist Consultant). Dr. Jackson, board certified in Psychiatry, is a 1996 graduate of the University of Colorado School of Medicine. She holds degrees in biology and political science, as well as a Master's degree in Public Administration. Dr. Jackson completed her psychiatric internship and residency in the U.S. Navy, with subsequent assignment to Bethesda Naval Hospital as a staff physician. Since transitioning out of the military in spring 2002, Dr. Jackson has lectured widely in Europe and the United States, speaking about "The Unintended Consequences of Developing Biotechnologies"; "The History and Philosophy of Attention Deficit Disorder"; "Drug-Induced Psychiatric Emergencies"; and "The Limitations of Biological Psychiatry". 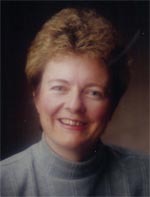 She has spoken at international conferences featuring highly respected clinicians, such as Dr. David Healy (The Antidepressant Era and The Creation of Psychopharmacology); Dr. David Stein (Ritalin Is Not The Answer); and Dr. Bertram Karon (Psychotherapy of Schizophrenia: The Treatment of Choice).